Bible.org's commentary on Genesis chapter 48 titled "The View from the Graveyard" is at this link and commentary on chapter 49 titled "The Purpose of Prophecy" is at this link. New Testament - In Matthew chapter 16 verses 11 & 12 stood out to me today: "So again I say, `Beware of the yeast of the Pharisees and Sadducees.' " Then at last they understood that he wasn't speaking about yeast or bread but about the false teaching of the Pharisees and Sadducees." 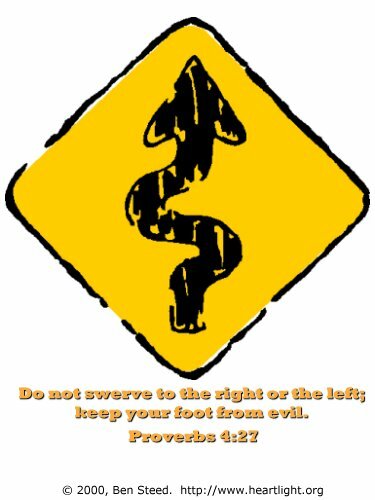 And I wonder today - are there false teachings that we should beware of today? I believe there are... and there have been times in my life where I have bought into false teaching's. How can we know if a teacher is false? That is a great question. I would say that each of you are doing an amazing thing to help discern whether a teacher is false by reading the entire Bible. I believe the Bible to be the ultimate Truthful teaching that we can read - and thus, if you come across teachers that differ radically or go against the teachings of the Bible, you need to be wary. Don't get me wrong - every pastor / minister / priest is going to have some different takes or views or interpretations of the Bible. By slight degrees... If there are major differences, then you should be worried. In addition to knowing the Bible relatively well, the key to discerning false teachers will be the Holy Spirit. If you are getting bad "gut feelings" (hopefully coming from the Holy Spirit) over and over again about a teacher, there might be an issue. Pray to God about this and ask for his guidance. I realize this can be a sensitive issue! I'd say don't freak out about this and start wondering if your pastor is a false teacher.... :) But, be aware. I do believe there are still false teachers out and about today unfortunately. If you ever feel like you are being confused by someone today, keep your eye on the way out of confusion through God's Word! Bible.org's commentary on today's readings in Matthew chapter 15 titled "A Lesson in Hermeneutics" is at this link. Proverbs - Proverbs chapter 4 verse 23 holds so much truth... "Above all else, guard your heart, for it affects everything you do." Check out yesterday's posting below for tons more reflections on why it is so critical for us to guard our hearts. How are you doing on guarding your heart these days? YouTube: Today's readings in Genesis about Jacob blessing his son's reminded me of Tenth Avenue North's song "You Are More:"
Do you know that you are more than the sum of your past mistakes? Click here for More! Prayer Point: Pray that your heart would be guarded by God's Word today. Pray that Jesus is the Lord of the wellspring of your life today and forevermore. Comments from You and Questions of the Day: Proverbs verses 25 & 26 are powerful and bring up a question I'd love feedback on: "Look straight ahead, and fix your eyes on what lies before you. Mark out a straight path for your feet; then stick to the path and stay safe." One thing that stood out to me in these verses is the ideas of setting goals. Are you a goal setter? I honestly am not really. I mean, I kind of set short-term goals - work projects, ministry projects, etc. But I don't really sit down and write down any big lifetime type goals. Part of my thinking on this is that I want to be as flexible as possible - if Jesus calls me to do something, I don't want to be hung up on some other goal... :) But, I'm not sure if this is the best thinking. This Proverb verse kind of makes me wonder if setting goals helps us keep looking straight ahead? 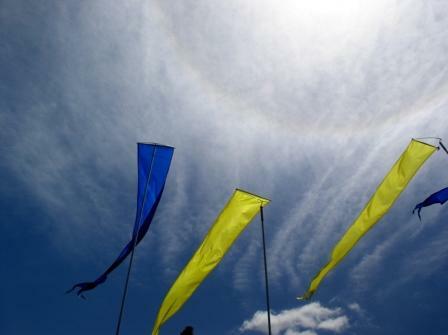 If goals help us mark out a straight path for our feet? And to stay on it? So, let me know in the Comments section below if you are a goal-setter? And to the extent you can share how you set goals? How often? In writing? How often do you check back in on your goals? Do they make a difference in your life? In your spiritual life? I am really curious on this one... I am thinking I might need to be setting some goals here! :) Also, what verses or insights stand out to you in today's readings? Please post up by clicking on the "Comments" link below! I find the tenses used in this passage very interesting. Jacob states that God told him He was going to make him, not his descendents, not some group in the future, but him, Jacob/Israel, fruitful. For someone who had no knowledge of the resurrection, someone who the “Soon Coming King” would be way into the future, Jacob had an intense sense of eternity in his heart. Do we, those who come after the death, burial and resurrection of Jesus Christ, see our off-spring, children, grandchildren and great-grand’s in the Big Picture of things as being an extension of ourselves, or do we think everything ends with us? How much of this do I truly understand? I say that I am part of something greater than myself, but do I act it and walk it? Are my actions speaking louder than my words? I also find it interesting that Leah is buried in the land promised to Abraham, in the cave bought when the land was promised but not obtained fully. However, Rachael was buried on the road outside of Bethlehem. I’m not sure if there is any significance, I just find it interesting. Leah, the “booby” prize, the one not wanted, was the mother of both the priestly line and the kingly line, Levi and Judah. 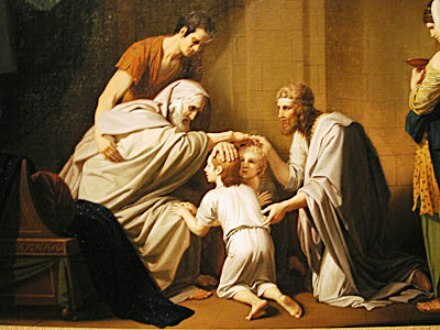 I’m not taking anything away from Joseph, but it seems that God always deals with the unwanted, the outcasts. I believe what we see in these twelve boys played out in this story is a strong reason why we are told to be careful how we judge. We, outside of the revelation of God, do not know how a story will end. It seems the ones with the “badest” reputations don’t end that way. What is that song, “It’s Not How You Start but How You Finish.” I think it is from a musical, but I can’t remember which one. In commenting on goal-setting, I do set short-term goals such as something that I would like to accomplish in a year. I am diligently working toward that goal everyday but long-term goals such as employment, I always ask God everyday to lead and guide me so in the back of my mind, I am always open an ready to make a move in another direction if God should lead me elsewhere. 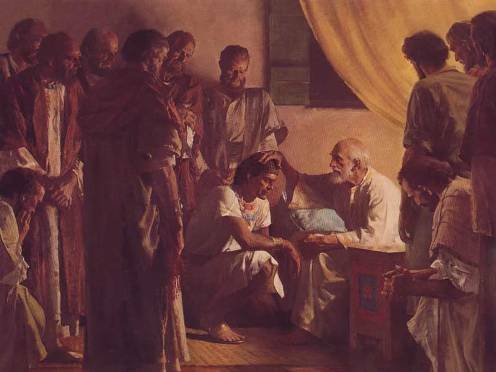 When Jacob was blessing the sons of Joseph Joseph felt that his dad had made a mistake by giving the blessing that he did to the younger son. I could not help but to think, if we sometimes think that because this child is the oldest they should be in charge of this or that but in realty some times it is perhaps a younger child who can better carry out our wishes. I am reminded of David,who was younger but he was chosen above his brothers to be anointed King. I too noticed the significance of the blessing on Judah this morning. And how many times have I read that passage and it didn't sink in? Great comments. In the twelve tribes of Isreal I am always suprised to find that Joseph is replaced by his sons and that Levi's off spring are not mentioned because they hold no land and are dipersed as preist. 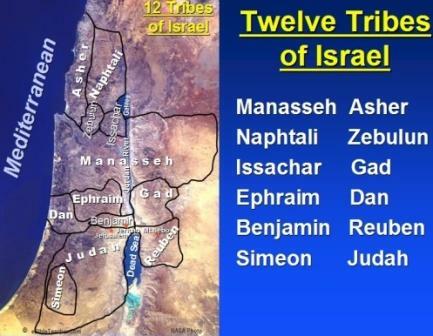 I hear the twelve tribes, see that Isreal had twelve sons and always assumed that they were the twelve tribes. Now, what I am curious about is does this go back to Joseph's original dream that set him on his path. His sons are given the same position as his brothers. Then I look to the new testament and common theme is that the first will be last and last will be first. This plays out in the old testament Jacob before Esau, Joseph before his brothers, Ephraim before Manasessah and the other examples mentioned above. I think that it is here to remind us that what we organize and arrange on earth is not Gods plan. We cannot earn by our birthright a place in Gods house, by our efforts, we do not deserve that place and so we earn our place by death to Jesus. How we see ourselves is not how gods sees us. The book of Genesis 48:1-49:33 really blessed my heart. It reminded me of my home church back in Kenya (Mavuno Church) where I took a spiritual transformational class called 'Mizizi' (Roots). Everytime the class ended, we would gather around in two's and bless each other. This week, my friends and I will be blessing eaching other. I pray that I can be a blessing to someone else through my words, through serving them and through the lessons I learnt from my Mizizi class. Blessings has such importance and significance in my life today! The book of Genesis 48:1-49:33 really blessed my heart. It reminded me of my home church back in Kenya (Mavuno Church) where I took a spiritual transformational class called 'Mizizi' (Roots). Everytime the class ended, we would gather around in two's and bless each other. This week, my friends and I will be blessing each other. I pray that I can be a blessing to someone else through my words, through serving them and through the lessons I learnt from my Mizizi class. Blessings has such importance and significance in my life today! I think more important than anything is petitions to God, releasing your faith for which you have no power over but God does, and through Him, gives you power, if that makes sense. I write petitions and use a journal each day to write down my daily thoughts and reflections, and write a petition I try to read and pray each day, basically stating that I am strong in Christ, the head and not the tail, I never pull up the rear, If God is for me, who can be against, I plead the Blood of Jesus over my circumstances, my finances, my family, my home, vehicle, the air in my lungs, and eyes to see and ears to hear the Word of God and listen to that still small voice. Now as far as writing goals, I speak what I want to be, and lift up petitions "again" on my tithe at church and sometimes write goals down in my journal. I believe like Habbukkuk 2:2 says to write down your goals, your visions, make them plain as day on a notepad, so I try and attempt to at least do that, I pray for my children to grow up and stay in the Word, and to find Godly spouses, godly girl being raised up right for my son, and a godly boy being raised in the Word for my daughter and for them to do awesome things for the Lord! That is my goals, I live daily for the Lord and stive to be the example God would have me to be! NOthing more, nothing less! Am I putting myself on a pedestal, NO, heaven forbid, but I am putting the one and only True God, God of Abraham, Isaac, and Jacob and Lord of my Life on that pedestal, because He is, He was, and Is to come! God bless you all!! In our family, we bless one another every time we take leave of each other. It has been a pretty cool thing to do. However, as a couple of our children have married into families which do not do this, they have let that practice lapse.